Move In Ready! 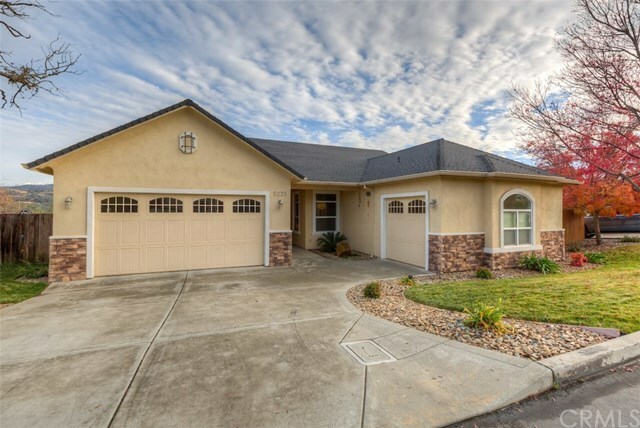 This luxurious home is located in the east foothills of Oroville within the Ridge Gated Community. The kitchen is open and very spacious, with custom counter tops, an island/bar, and stainless steel appliances. The home is incredibly spacious and open boasting 10ft ceilings. The master bedroom has its own private exit to the covered patio and back yard; the master bath is tiled and offers dual sinks, sunk-in tub, separate shower, and a large walk-in closet. Seller has installed top of the line unique fixtures throughout the home. This gated community boasts a quiet serene park that overlooks the valley. Call for your private showing today. All information from property profile. Buyer(s) is/are advised to investigate/inspect all aspects of the property to their contractual satisfaction. Directions: Oro Quincy Hwy, right on Saddle Drive, left of Lariat Loop, Right on Honey Rock Ct.